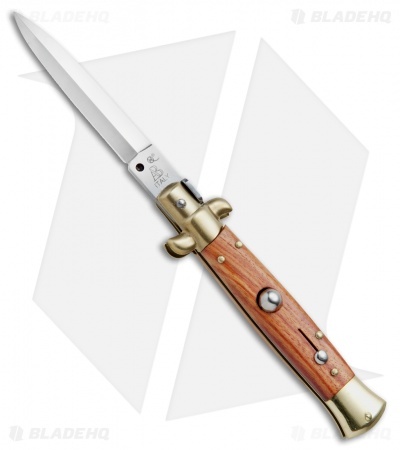 This 8" Italian Stiletto from SKM/AB Italy offers classic stiletto style with a rosewood handle and a satin finished dagger blade. SKM makes a variety of Italian stilettos featuring traditional designs at an affordable price. 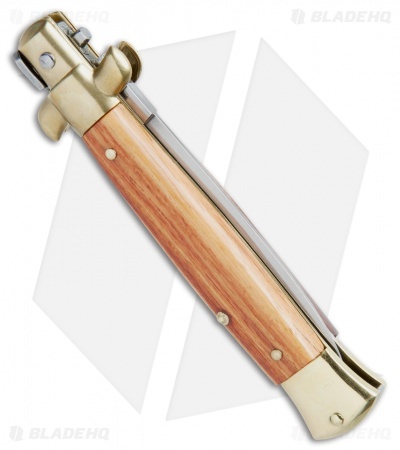 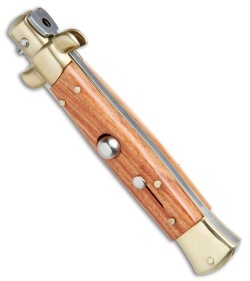 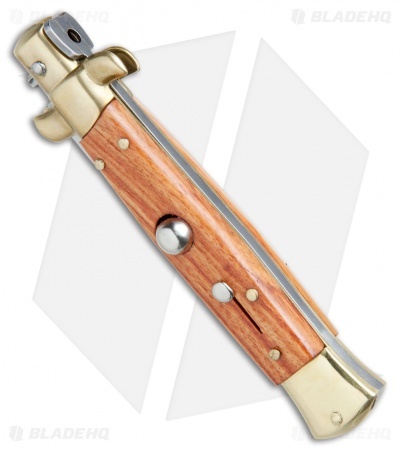 This 8" model has a rosewood handle with gold colored bolsters. Brass pins and liners add a classic finishing touch to the piece. The dagger blade has a plain edge and a satin finish. 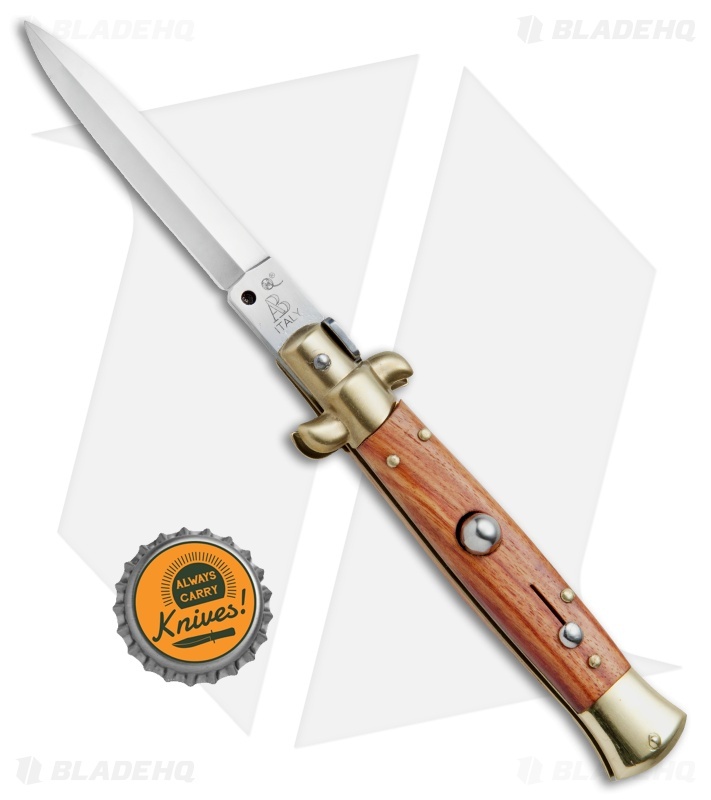 Experience the affordable Italian quality of these authentic stilettos from SKM/AB Italy.